Well ladies and gents, we’ve been warning of the upcoming arrival of Ultra High Definition and 4K for years and now the death of HD has officially begun. As you can see, below there are several new 4K TV options in different price brackets. Each of which is affordable to different market segments. We decided years ago that this was the direction the industry would eventually take. Therefore, instead of hiding our heads in the sand and continuing to push sub-par HD production on to our clients, we invested our time and money into the same equipment and techniques being used on big budget Hollywood films like: The Great Gatsby, Flight and 42 (The Jackie Robinson Story). I am sure many of our competitors will now begin the long process of obtaining UHD production equipment and the even longer process of training to master it. However, CreativeWave can produce your 4k project today, with the skills we have honed working with UHD day in and day out, over the last two years. 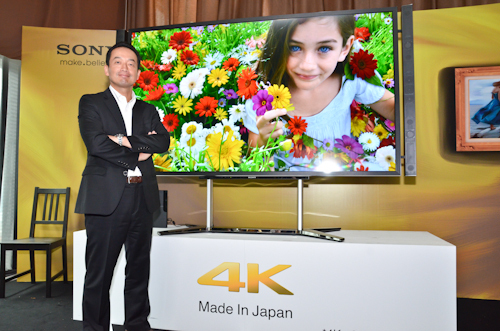 If you have any questions about 4k/UHD, please let us know.